How to Grow Turmeric Indoors. It's So Easy! Turmeric is a super spice. Many experts believe that turmeric may have over 600 potential preventive and therapeutic applications. It has both antiseptic and antibacterial properties, which make it great for cleaning and treating wounds. But what makes turmeric so popular is its anti-inflammatory properties that have been studied to rival ibuprofen. If you find turmeric to be expensive or enjoy growing your own food, keep on reading. 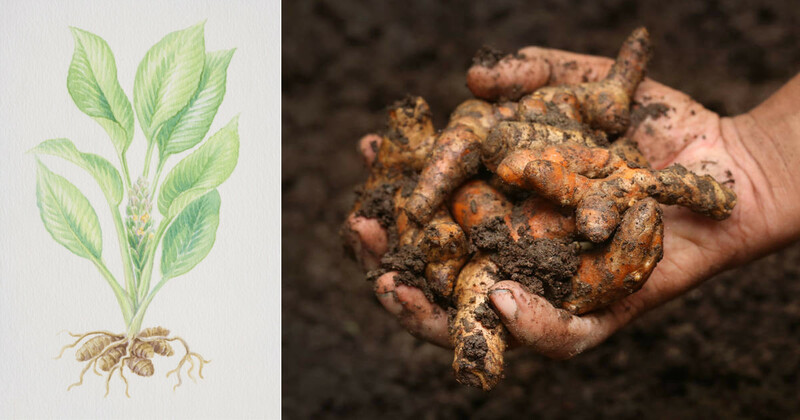 Similar to ginger, turmeric is grown from rhizomes (root cuttings). Turmeric does not propagate seeds. So all you need is one turmeric root which you can find at your local health stores. Break a larger rhizome into a small rhizome piece that has two or three buds. Fill your pots with rich organic soil, which is lightly moist but well drained. Place it about two inches below the surface of the soil, with the buds facing up. Note: Turmeric will benefit from bi-monthly feedings of a good organic fertilizer or compost tea. Turmeric likes water. Keep the soil moist, particularly in hot, dry climates. Try watering it once every 2 days or misting with a spray bottle. If you live in cooler climates, water less frequently. The key here is to keep the soil from ever getting soggy. 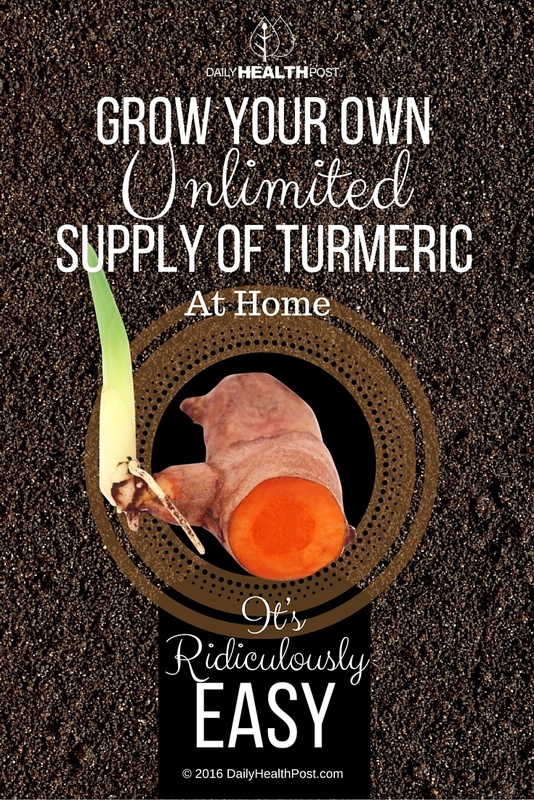 Latest Headlines » Wellness » How to Grow Your Own Unlimited Supply of Turmeric At Home. It’s Ridiculously Easy!